How does everyday language become poetry and how much of what we say online is wholly original? 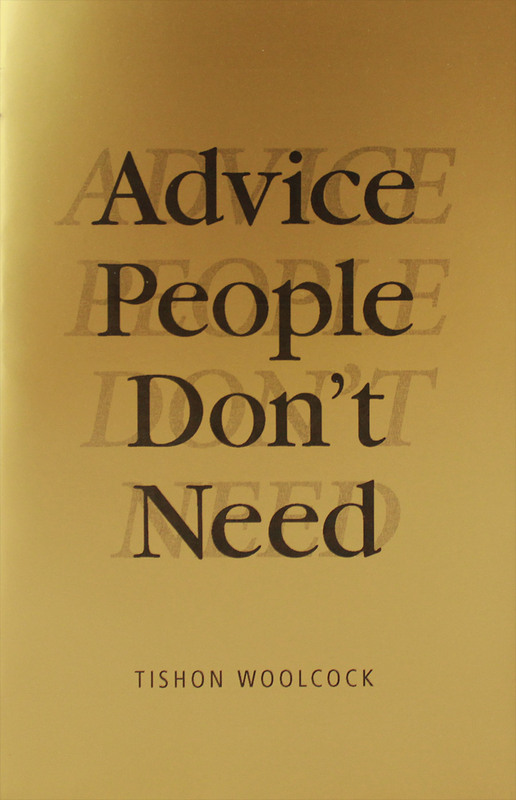 Advice People Don’t Need is a collection of poems made from Facebook statuses. With the help of the website what-would-i-say.com, Tishon Woolcock compiled pages of auto-generated status posts and used the process of erasure to create his new chapbook. Tishon’s thoughts on art, success, and the meaning of life merge with the voices of Pablo Neruda and Frank O’Hara, whose lines serendipitously make their way into the poems. Written during Tishon’s Poets House Emerging Poets Fellowship, the book is a study of the poet’s role in cataloging language. i can’t hang around here all day. an angel sent from god. 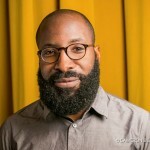 Tishon Woolcock is a writer and designer who believes that language, written or visual, is humankind’s most vital asset. As a poet, Tishon is devoted to cataloging language. His first poetry collection is The Letter All Your Friends Have Written You: Poems by Caits Meissner and Tishon (2012). In 2014, Tishon was awarded a Poets House Emerging Poets Fellowship. He is the founder of Well&Often.